The still-strong U.S. economy showed signs of slowing in recent weeks amid declining optimism, though most regions continued to show modest to moderate growth, a Federal Reserve survey showed. “Outlooks generally remained positive, but many districts reported that contacts had become less optimistic in response to increased financial market volatility, rising short-term interest rates, falling energy prices, and elevated trade and political uncertainty,” according to the report, released Wednesday in Washington. The central bank’s Beige Book economic report, based on anecdotal information collected by the 12 regional Fed banks from late-November through Jan. 7, showed manufacturing and energy expanded at a slower pace in most districts, while non- financial services cooled in a few districts. 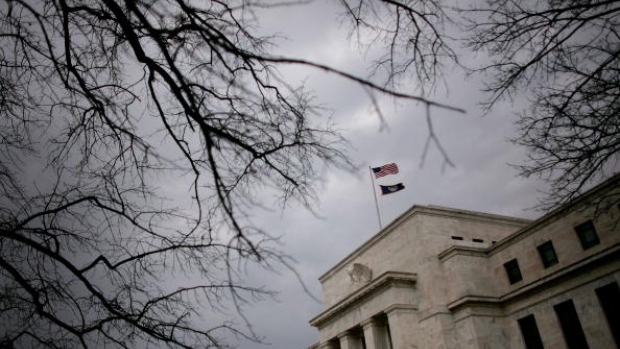 The report, prepared by the Chicago Fed, comes amid tension between the mostly positive outlook for the U.S. among central bankers and many economists, and more pessimistic views expressed in recent weeks by investors. U.S. stocks had their worst December since the Great Depression. The Fed has pointed to continued strong jobs gains and robust consumer spending, while financial markets have been shaken by slowing global growth, a tightening of financial conditions caused by interest-rate hikes, trade disputes and the partial U.S. government shutdown. The Beige Book offered something for both camps. “All districts noted that labor markets were tight and that firms were struggling to find workers at any skill level,” the report said. Wages gained throughout the country and across skill levels, with most districts reporting moderate pay increases, the report said. A majority of districts reported “modest to moderate” increased in overall prices. The partial government shutdown received one specific mention in the report on the way it affected agricultural markets in the Chicago district. Fed policy makers have responded to the gloomier investor views by saying they would be patient in considering further rate hikes, a shift in tone that many have interpreted as signaling a pause. Economic fundamentals, however, remain strong. Unemployment was 3.9 per cent in December and wages rose by a healthy 3.2 per cent in 2018. Consumer-price increases have remained subdued. After excluding volatile food and energy components, the Fed’s preferred gauge of inflation rose just 1.9 per cent in November over the prior year.